İstanbul and Çanakkale are very special Straits of the world. They should be kept in safe. There fore There are many regulations and restrictions for the towed passages. The companies should choose their agent very carefully. 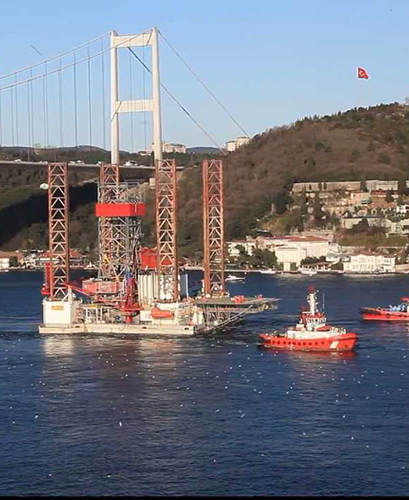 Transbosphor is the biggest Towing Agency at Turkish Straits with the quantity. In 2001 more than 80 percent of towing operation has been done under Transbosphor control. Regulations and precedures are very heavy and will be more. There fore you need really experience agent at your towing operations. 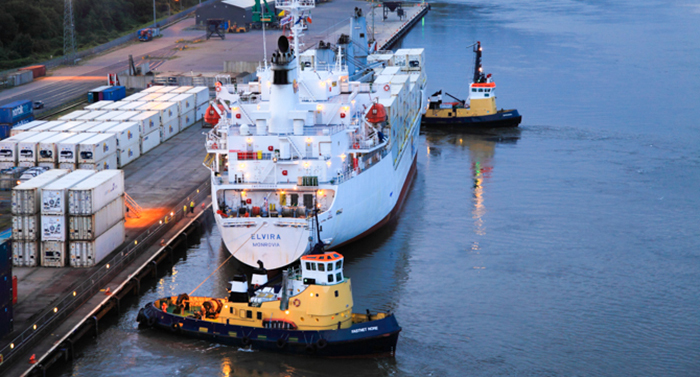 Main difference between transit ships and towing caravan , towing passage is not accepted as free passage. There are many samples as waited caravans more than one week at entrance of İstanbul or Çanakkale to complete the precedures by the agent. You will find the regulations and requests of authorities for taking passage permission from Maritime District Manager or Traffic Manager. Petition for determiningthe İstanbul crossing conditions of the towed shipsships with special crossing terms shouldinclude the information stated below and should attach the documents written hereafter. 1. The departure and arrival ports of towed ship or ship with special crossing terms. 2. Estimated arrival time (ETA) to the entrance of the İstanbul. 3. Displacement of towed ship or ship with special crossing terms. 4. Dimensions (full length, width, draft, air draft), of towed ship or ship with special crossing terms. 6. Gross tonnage, net tonnage, dead-weight tonnage of towed ship or ship with special crossing terms. 7. Current condition of the machine of the towed ship or ship with special terms and its maximum speed. 8. The flag, gross tonnage, net tonnage, dimensions ( full length, width, draft, air draft) and machine power of the towing boat. 1. Bollard Pull Certificate of towing boat given by the administration or class of the towing boat. 2. Towage Certificate or Sailing Permit. 3. A certificate regarding the equipment used for towing, given by related administration in case of no information with the Towage Certificate or Sailing Certificate regarding the equipment used for towing. 5. Towing schematics in details including views from top and side. 6. Tonnage certificate or general plan of towing boat given by the administration or the class of towing boat. i) Towing boat and the towed ship are in P&I Insurance coverage. Policy arranged for towed ship. 1-Either the originals of these Certificates will be presented to Administration or a document from Register or class which approved the validity of these documents will be presented to the administration. 2-The original Certificates and the Documents and their translations by translation bureau under oath will be given to Administration. 3-Required for as proofs of dues of membership are paid accordingly, and the last dues is paid and the policy did not lose its validity because of unpaid dues. c) Valid P&I Certificate given by P&I Insurance Club (there will be no expression of exemption regarding collision and pollution is subject certificate). d) Valid vessel and machine policies of towed boat. e) Valid vessel policies of towed ship (if she has her own machine and is already used, valid machine insurance policy). a) Confirmation letter given by P&I Insurance Club (the information given below should be included clearly without any attribution to anywhere). i) The ship is in P&I Insurance coverage. 4-Either the originals of these Certificates will be presented to Administration or a document from Register or class which approved the validity of these documents will be presented to the administration. 5-The original Certificates and the Documents and their translations by translation bureau under oath will be given to Administration. 6-Required for as proofs of dues of membership are paid accordingly, and the last dues is paid and the policy did not lose its validity because of unpaid dues. b) Valid P&I Certificate given by P&I Insurance Club (there will be no expression of exemption in subject certificate). c) Valid vessel and machine insurance policies of the ship. d) Valid CLC Certificate for tankers. After the petition and the required documents attached to it are presented accordingly. 1. The petition and the attached documents are examined by the commission established by our District Directorate. 2. The crossing terms are determined by subject commission for the ones which are considered appropriate for İstanbul crossing. 3. For ones, with ship length or total towed lenght is 300 meters or over which requires permission from undersecretary. 4. The İstanbul Crossing Terms for ones, with ship lenght or total towed lenght is 300 meters or over whixh requires permission from undersecretary and others are informed to below written establishments by our District Directorate. (Coast Security Commander, Sea Police for their information; Canakkale District Directorate, Istanbul Port Chairmanship, Istanbul Sea Control Centre, Canakkale Sea Traffic Control Centre, TDI Port Administration Directorate and related agency for their action). 5. The ship or towed ship which is prepared to fullfil the İstanbul Crossing Terms is checked by our District Directorate and if it is found suitable is allowed for İstanbul crossing.